Can we pick up our order? Can you drop ship to another location? • Yes, we will drop ship anywhere in the USA. Please provide us with an accurate shipping address, including a contact name. Will you use my UPS or FedEx account numbers? • Yes, upon verification, we will use your either UPS/FedEx Ground account. We will not ship Overnight using your account number. Do you offer large volume quotes? 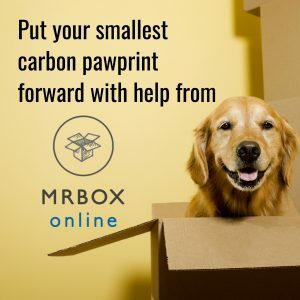 • Yes, call 954-572-2500 or 1-800-231-8806, ext 101 or email: info@mrboxonline.com. Besides our large volume of stock cardboard boxes, we are exceptionally competitive in custom box sizes with custom printing. Why is some items shipped actual weight versus the dimensional weight? • Both UPS and FedEx Ground utilize a pricing structure when using the dimensional of the package. As general rule they will multiply the length x width x depth to achieve a starting point to apply the divisor. Your divisor is issued by the ground carriers and may differ from our established rate. Many of our foam coolers fall under the dimensional weight program. Do I have to pay sales tax on my shipments? • Florida State law requires that A&M Tape & Packaging/MrBoxOnline have a properly executed tax exemption certificate from all customers who claim sales tax exemption in the State of Florida. New laws are in affect in regards to the collection of sales tax for out-of-state shippers. We will abide by all rules and regulations for the states that we ship into. 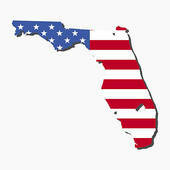 • We do not collect state sales tax on shipments outside the State of Florida. Money Orders or Cashier’s checks. Electronic Funds Transfer (EFT) or Wire Transfer. Please contact our office for ABA routing information. We will accept C.O.D. orders with our local truck deliveries. I’ve heard you carry many different types of tape. Is there more than just regular box sealing tape? There are actually many different types of tape. Clear or Tan Box Sealing tape, Reinforced Gummed Tapes, Filament Tape, Flatback Tape, Duct Tapes, Antistatic Tape, Specialty Tapes, and the list goes on. They are available in different widths and thicknesses to fit your needs. What environmental initiatives are you striving for? • Here at A&M, we are very conscious about the environment. Many of our products are environmentally-friendly, biodegradable, and made from recycled materials. In our office, we have taken part by installing energy efficient lighting, water saving faucets, etc. We carefully plan our truck routes for greatest fuel efficiency and least time on the road. What are the advantages do Pulp Wine Shippers have over other wine shipping methods? • Our Pulp Wine Shippers are made from 99% recycled material. And since they are made using wood pulp, they are biodegradable! Are Styrofoam Cooler Boxes environmentally friendly?